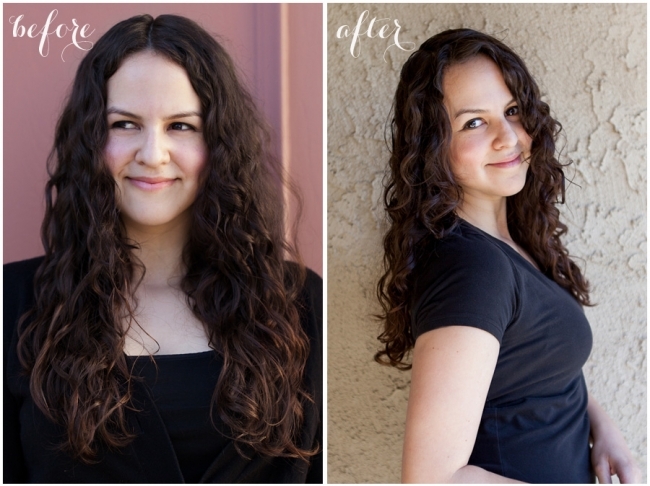 This post is for naturally curly girls like me, but EVERYONE loves a before and after. So if you don’t care too much about the specifics on my curly hair, just jump straight down to the good stuff. THE PICTURES. After years of flat ironing, keratin treatments and deadly Brazilian Blowouts (its okay to die early, as long as I die with straight hair, right? Ummm…. No), I was sick of fighting against my naturally curly hair. In order to embrace my curls, I turned to Amazon. For some reason, I think books on Amazon are the key to life’s answers. So I searched for “Curly Hair” and the number 1 book that came up was Curly Girl: The Handbook. Little did I know, but I had just found the book that would change my life forever (Dramatic much? Fine, it would change my HAIR’s life forever). 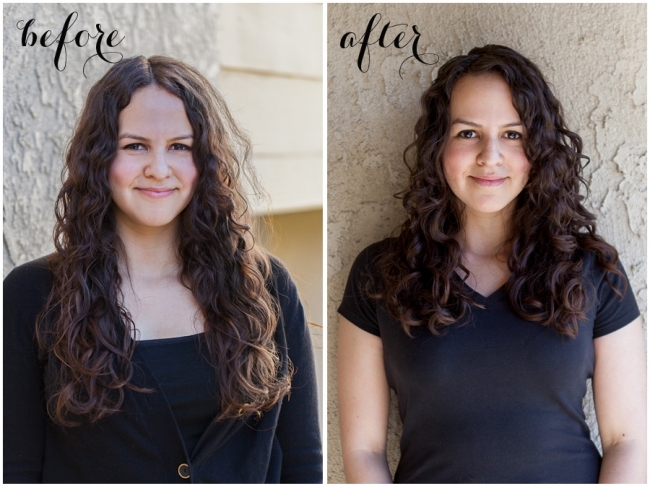 The book details a new way to look at curly hair. The book’s author, Lorraine Massey, believes that one shouldn’t fight against their curls (and try to turn them into something they’re not), but instead, encourage the curls that are already there. She instructs all “Curly Girls” to throw away their combs and to NEVER blowout your hair straight. Despite some of the harsh and DRASTIC changes (no blowouts!) that I would have to make, I decided to give it try. 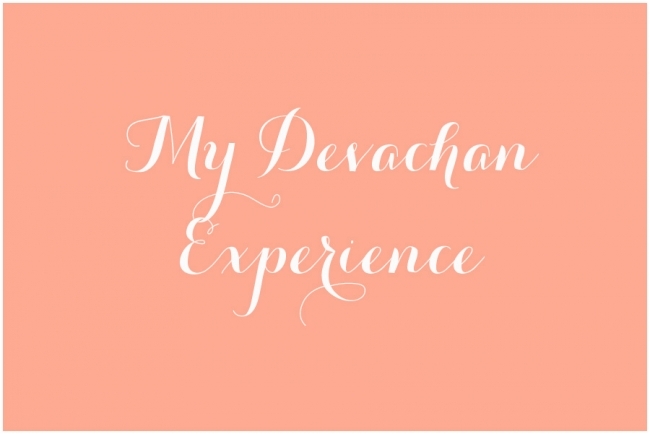 In researching the author further, I found out that Lorraine Massey had founded Devachan Salon, the curly hair mecca. Located in NEW YORK. After I had devised three different schemes, that all ended with me convincing Matt to take me to New York so that I could get a HAIR CUT, I found out that they had a Culver City location in CALIFORNIA! I checked their facebook page, and they quite often have New York stylists work out of the Culver City location. The stars were aligning and NEW YORK was coming to me! I immediately booked an appointment with Jackie from the New York salon during her quarterly trip to California. They have the fanciest “Cutting Capes” EVER. They are satin and make you feel so luxurious. Every salon should carry these. The hair washing “bed”. At most salons, they put you in a chair and have you rest your head on a hard porcelain bowl to wash your hair. At Devachan they have BEDS! You lay down on something that looks like a massage table, but looks about 100X more stylish. It was so comfortable, I almost fell asleep while having my hair washed! They teach you how to take care of your curls. The book was really helpful in understanding the basic principles of the “Deva” lifestyle, but nothing can compare to the in person instruction at the salon. At every step of the process, Jackie explained what she was doing and why. They showed me how much product to use and how to apply it. These simple demonstrations, personalized for me, gave me a lot of hair knowledge and thus, completely improved my daily routine. They cut your hair DRY. You are supposed to wear your hair in its “natural” state to your appointment, so that way the stylist can see the way your curls are shaped and how they fall. They cut your hair to encourage the curl’s natural shape. Cutting the hair dry is also important because then the stylist knows how much your hair is going to retract. (If the hair was wet, the stylist might cut your hair too short due to the fact that they underestimated how tight your curl is). But most of all, I love the way my curls look! I feel a little like a brunette Goldilocks, but I really love just being more me : ) See my new curly look below. The “Before” picture was taken right before my appointment and the “after” is two weeks later. I styled the before AND after all by myself. My hair is SO much less frizzy now, mainly because I now know how to apply gel correctly. I never would have thought that I needed someone to teach me how to use gel. By the way, this is NO CRUNCH gel. YES! IT EXISTS! My curls now have shape and they are a lot more defined. They look healthier too! And I need to get me one of these banners………. I now feel more confident with my curls and I 100% recommend the Devachan salons. I loved having Jackie as my stylist, so I’ll be seeing her next time she is in the area! If you don’t live near a Devachan salon, getting the book is a good start!